The beauty of Limoncello is how easy it is to make, given just how tasty it is!! Lemon zest, alcohol, sugar, and water. We are proud that our products contain no artificial colors, flavors, or preservatives. The final product is blessed only by the fruit is comes from, which is more than enough. 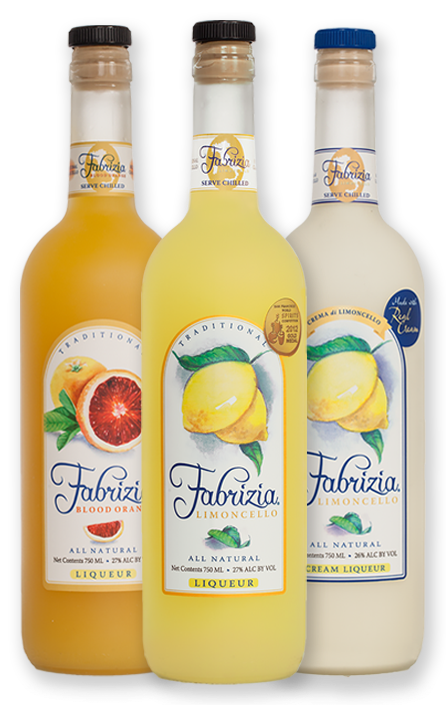 Fabrizia Spirits products are entirely “homemade,” produced in small batches, by hand in New Hampshire. The most important part to making any type of “cello” liqueur is to select the best fruit. For us to do so, we rely on DIRECT relationships with both Sunkist Growers in California, and most recently Gruppo Villari in Sicily. This allows us to purchase fruit that has just been picked, and for it to meet our specifications regarding selection, processing, and transport. As of 2018 we are now using 100% Italian grown and imported lemons.